Which Water Disinfection Method is Best? When you look at the water that flows into your home or business, usually all you see is clear water. You cannot see, smell, or even taste many of the harmful microbes that are inside water before it is processed. This is why it is so important to make sure our water supply is properly disinfected before consumption. There are two common methods in which we disinfect our water; UV light and chlorine. Which method is best? It is debatable, and both have good and bad sides. Both UV and chlorination for water disinfection are recognized as effective by the authorities of the Environmental Protection Agency (EPA) and Health Canada. Chlorination is an inexpensive method that has been used to disinfect water as far back as the early 1900's. It is an option that is used to improve the water’s taste and its clarity, while getting rid of many microorganisms, bacteria, and viruses. This process does have limitations in what it can disinfect, however, as some organisms like Giardia are usually resistant to chlorine and can result in harmful infections in humans if untreated. 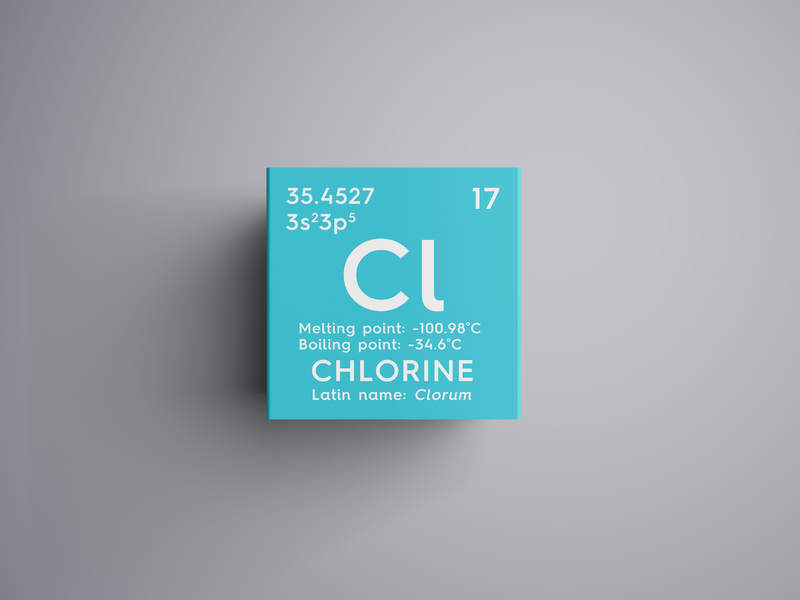 The chlorine does however remove such substances as iron and manganese, which are known to taint water’s taste. A major benefit of chlorine as a water disinfectant is that it can be scaled to fit any size of system. Also, it is relatively simple to use, as treatment systems do not require a lot of technical expertise. There are several different types of chlorine treatments that range in price based on the solution of chlorine that is used. The process of chlorination must be carefully regulated, because the chlorine gas can be toxic. The monitoring needed when using chlorine as a water disinfectant is high, as many factors come into play, from how the chemical is stored to how it is mixed for the treatment process. Letting the chemical sit too long in the water it is treating can cause some residual effects. Too much residual chlorine in sitting water can cause chemical byproducts that create health hazards. However, these health hazards are minor in comparison to the effects on a human being if the water were left completely untreated. Chlorine is relatively inexpensive to make and is easy to transport. It also takes only a little training to use safely. This makes it a popular water disinfection option in impoverished areas. If it is safely stored and used properly, the use of chlorination has shown a big drop in diarrheal disease in many locations. Using UV rays for disinfection has been used for centuries, once it was discovered that the light in specific wavelengths had germicidal characteristics. This technology was harnessed and turned into the UV water disinfection method that we use today. While this is a sophisticated water disinfection method, it does not require a very technical explanation. By using that specific wave of light and passing it through the water, it inactivates the pathogens that are present in the water. Once inactivated, the microbes can no longer multiply, meaning they can no longer cause infection. Think about how much we go through to protect our skin from the harmful UV rays of the sun. Fortunately the microbes haven’t come up with sunscreen yet! To get the best results while using minimal maintenance, the use of a UV system does require some pre-treatment. At a minimum, the pre-treatment includes a sediment filter that is often seen included with newer, high quality water treatment systems. The upside to the maintenance of a UV system is that it requires less than a chlorinator, so you are looking at fewer service calls. Depending on your quality of water flowing in, if you are using a UV water disinfectant system, the quartz sleeve will require periodic cleaning. Using a UV system is a popular option for its chemical-free process and only requires a simple and affordable investment. In a small-scale system, UV light is used where the power supply is dependable. It is not often used to treat surface water. Particle-rich water can create problems for UV rays by making it harder for the light to penetrate the water properly for complete disinfection. This is why a sediment filter is sometimes also needed. If you are considering using a UV water disinfection system, you should consider its limited protection time. Exposing the water to a UV ray is a one-time process that kills the microorganisms, but it does not prevent them from returning again. Using this type of system may be used where water will be consumed quickly rather than stored for future use. With this information, these systems have become a popular fixture in homes where there is a reliable electric power supply. No matter what you choose to disinfect your water, it is safe to say that either method will have you using clean water for drinking and cooking. If you are storing the water for future use, then the chemical process of chlorination may be best. If you are looking for a pure and chemical-free drinking water, you may prefer to install a UV water disinfection system in your home. If you want more information about water filtration methods, check out Advanced Water Solution’s other blogs, such as this one that goes over reverse osmosis filtration.